Our College films, available below and shown at our open days, explore the courses, departments and enrichment activities at each of our sites and feature firsthand interviews with staff, students and alumni. You can also visit our A Level and BTEC pages, read about our enrichment and business partnership programmes and download a prospectus via the website. 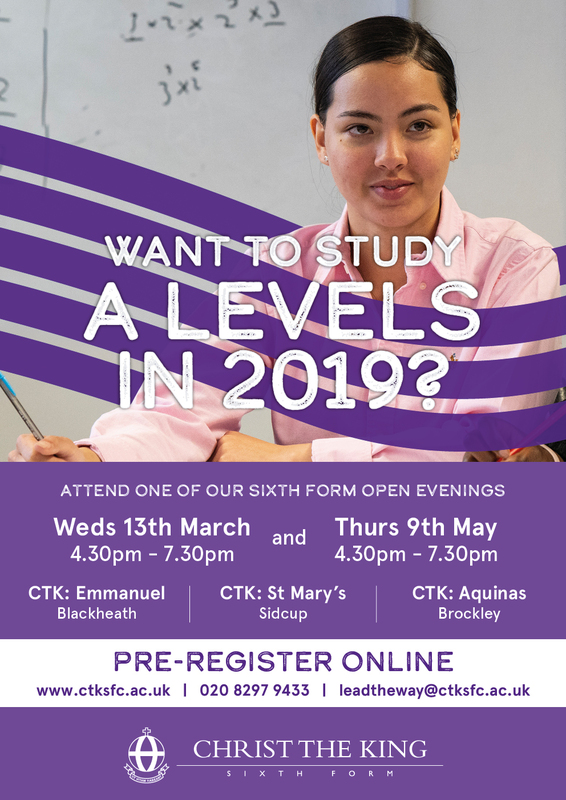 To speak to us directly, please do give us a ring on 020 8297 9433 or email us at admissions@ctksfc.ac.uk.